On Wednesday, in our Blake Street’s Youth Movement series, we detailed how Eddie Butler evolved to make it back to the major league squad. 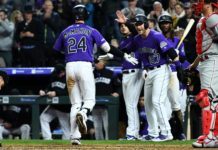 Today, we’ll be looking at Trevor Story who had a remarkable rookie campaign to bring stability at the position after Troy Tulowitzki. But a thumb injury gave Story a different perspective, something he couldn’t have found playing. 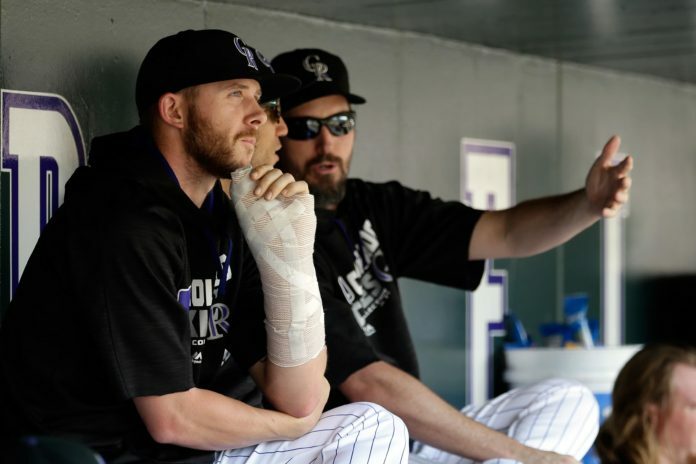 Trevor Story and Eddie Butler might not have much in common at first glance, but their time on the disabled list were easily the toughest stretches of their young careers. For the past two months, Story’s day included answering questions about how he was feeling following a torn ligament in his thumb that put him on the DL for the rest of the season, rehabbing and watching his team compete on the field without him. To say it’s been tough would be an understatement. Story had two very different halves to his season that required different kinds of maturity. He made his major league debut after earning his spot on the roster not knowing if he was going to lose his spot to Jose Reyes at any moment. In that time, all he did was seriously contend for Rookie of the Year honors and set home run records for a rookie shortstop. But he arguably grew more by studying the game and working on the mental aspect of his game while he couldn’t play. Combining these experiences only makes Story a more-rounded, complete player. The preparation is translating into confidence. This is a part of a week-long series. Make sure to check back tomorrow, to hear how Jordan Patterson made the most out of his late call up to the majors. If you missed yesterday’s story about Eddie Butler, click here.